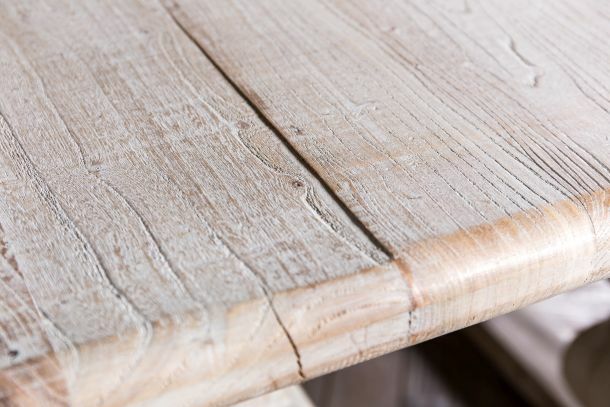 This distressed limed elm table is a beautiful addition to our new and extensive range of rustic and reclaimed furniture. 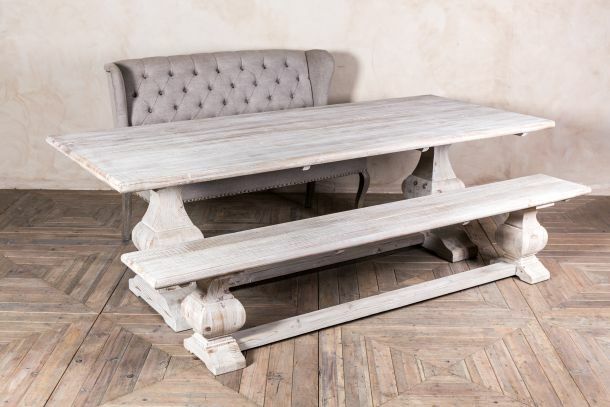 This large distressed limed elm table is made from 100% recycled and reclaimed elm, and has been completed in a limed wash finish. 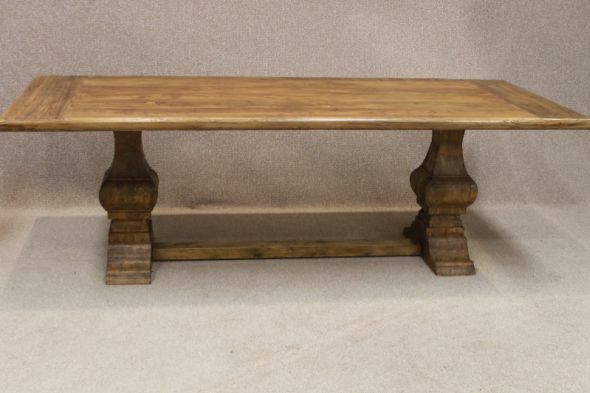 Featuring a large planked top with all of the characteristics of a much older piece of furniture, this table stands upon a traditional pedestal base and comes in a limed wash finish. 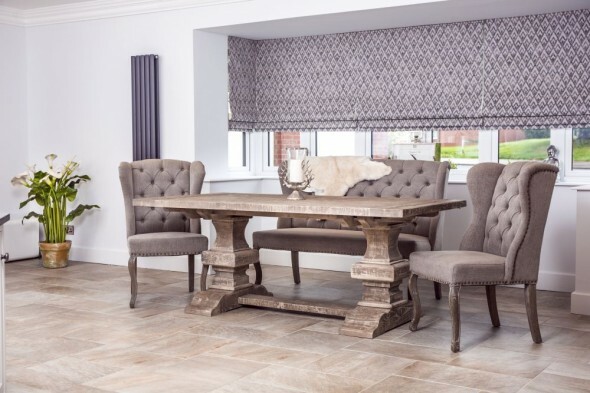 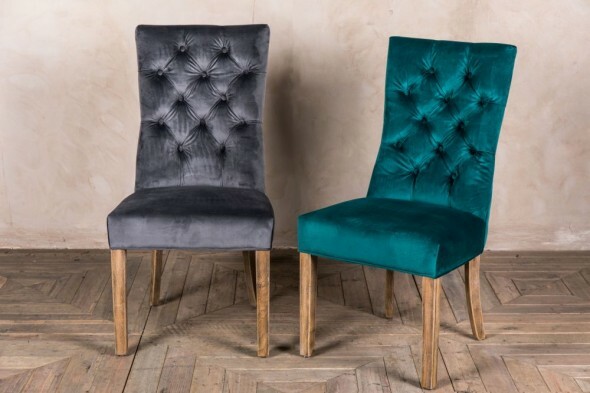 This table can be complemented by our wide range of chairs, our matching limed elm benches, or our complementing 'Bentwood' chairs in a grey wash finish. 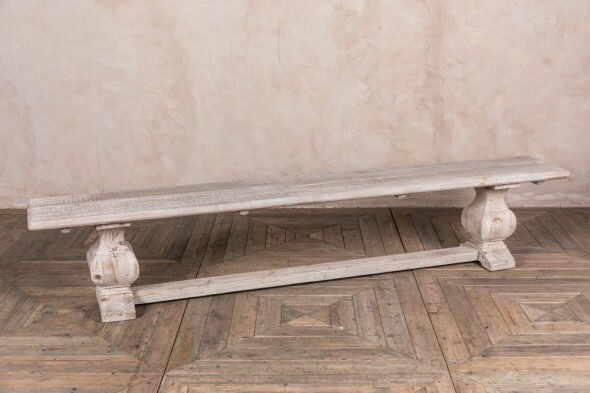 Please be aware that this is an extremely rustic piece of furniture. 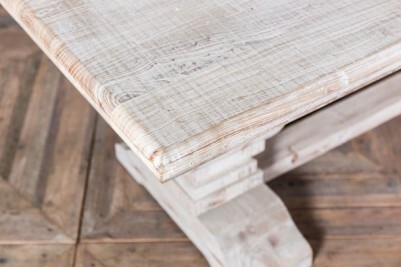 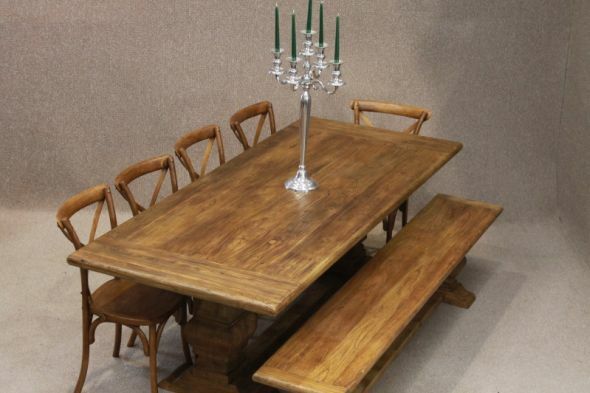 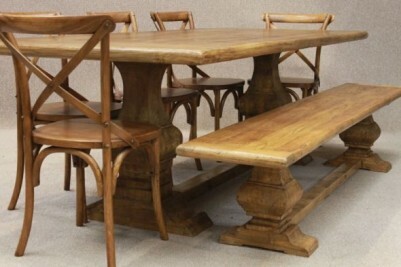 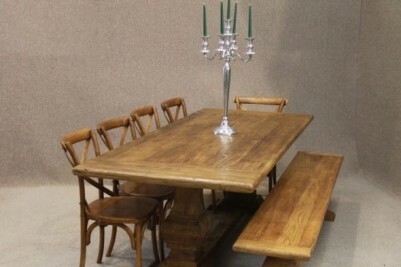 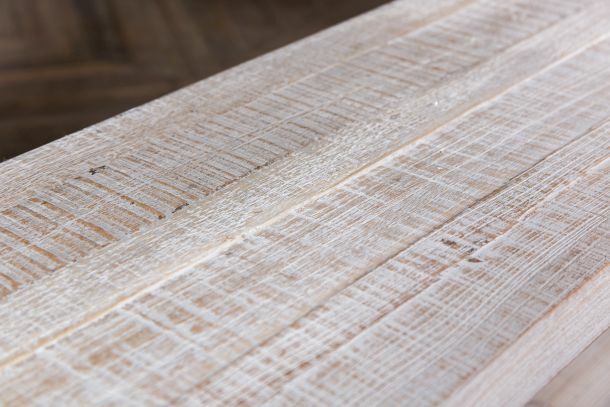 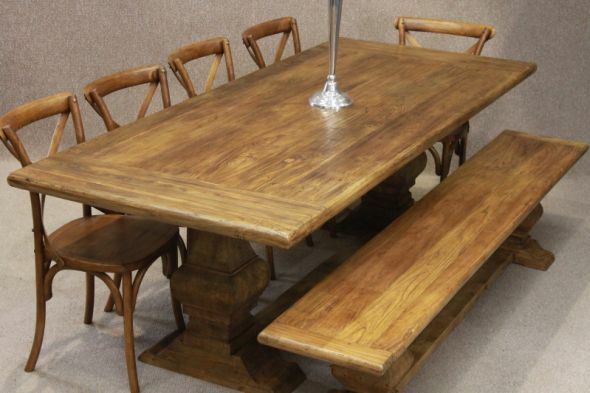 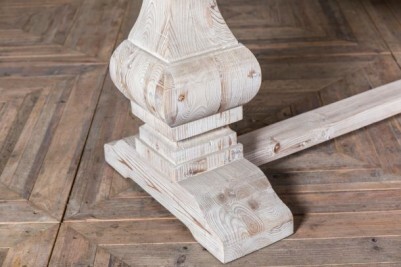 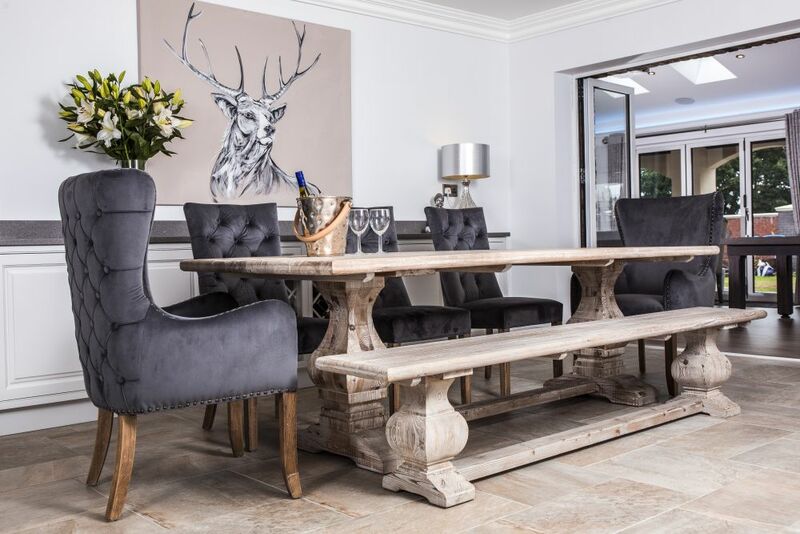 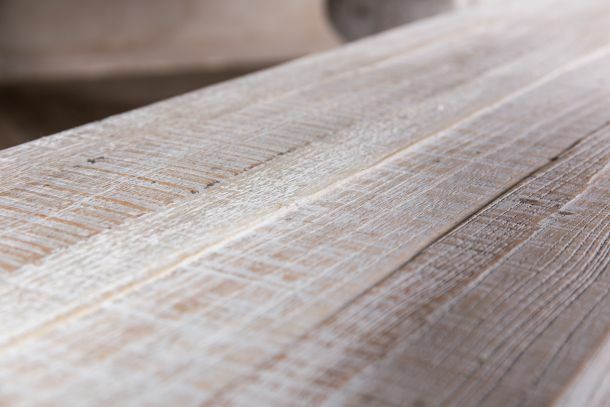 As each table is produced using reclaimed and distressed timber, no two tables are identical. Please expect there to be obvious marks, blemishes, knots, cracks, scratches and other characteristics apparent on these tables. 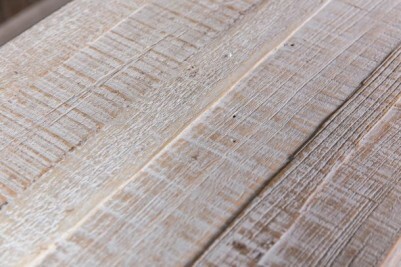 The planked top has an uneven surface, complete with ridged and grooves, which can be clearly seen in the photographs. 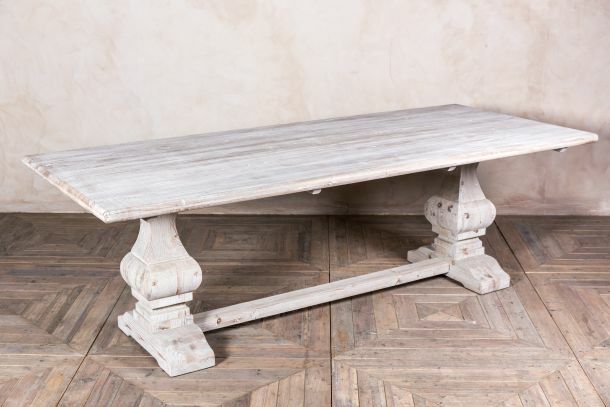 These markings add original rustic charm to the appearance of these tables. These tables have a light limed wax finish. 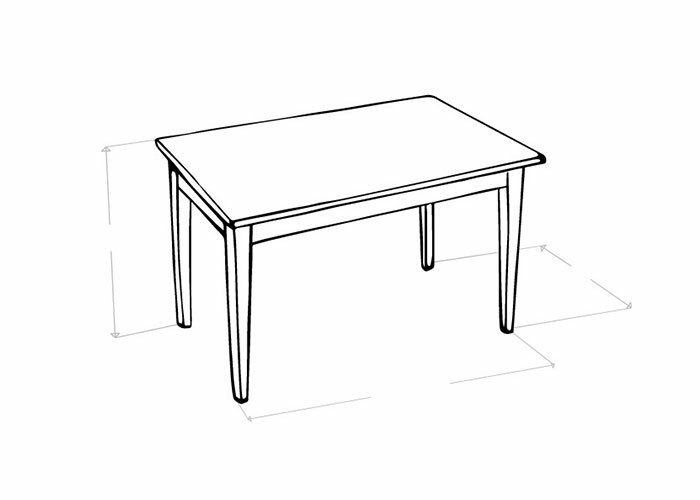 To protect and maintain the appearance of your table, we recommend treating it regularly with a clear matt Osmo oil. 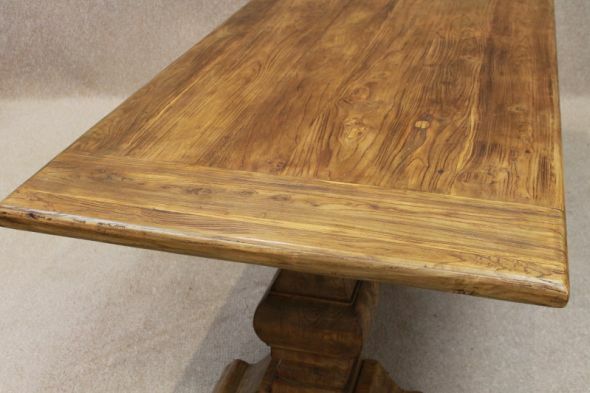 Alternatively, you can use a light coat of liming wax to preserve the look of your table, depending on your usage. 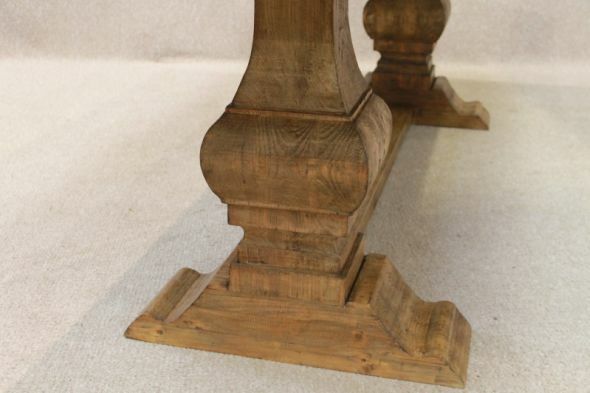 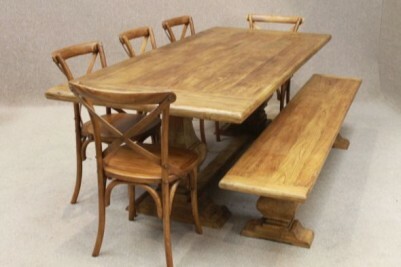 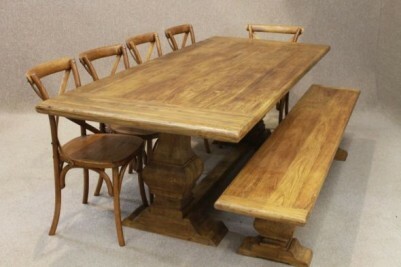 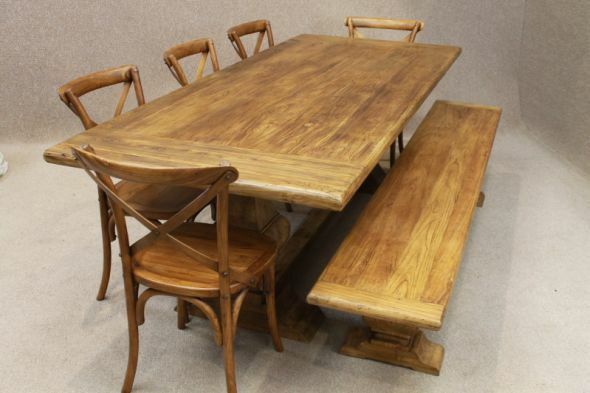 As you can see from the photographs, this table can also have a more traditional stained and waxed finish. 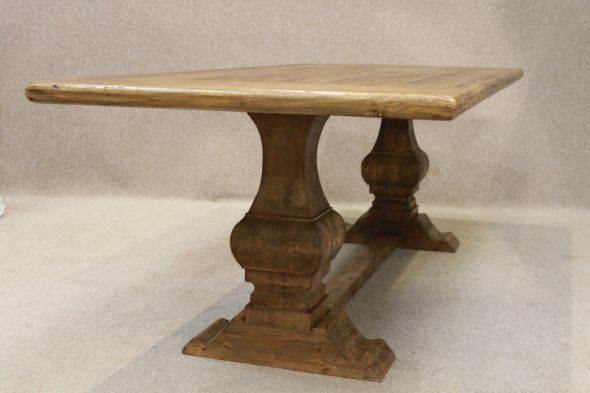 If you would like this style of table please contact us prior to placing your order. 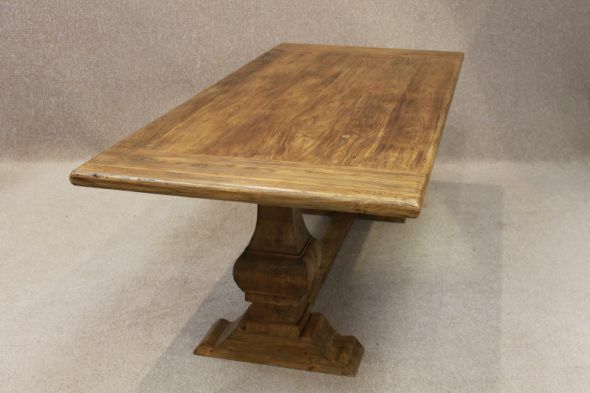 Please note, the colour of this table may vary slightly from the one that is pictured.